In the wake of heavy speculation that Hillary Clinton has found her running mate, a look at Trevor Loudon’s KeyWiki file on “civil rights attorney” Senator Tim Kaine is in order. 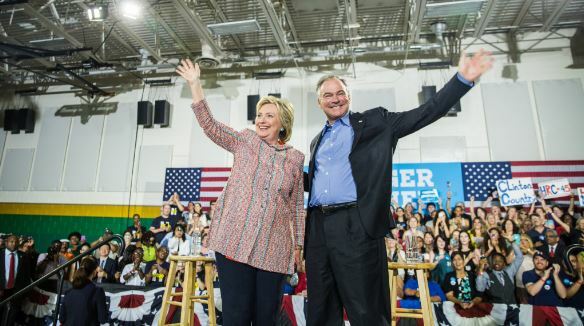 Kaine was governor of Virginia for four years prior to becoming a senator in 2012. As readers of TrevorLoudon.com are well aware, Loudon traces the ties between elected officials and anti-American radicals. Over time, he has compiled some information on Tim Kaine which illustrates that he is not as mainstream as he appears to be. Read Tim Kaine’s Keywiki file here. One of the best ways citizens can determine whether an elected official has anti-American ties is to research which organizations provided support to that individuals’ campaign. 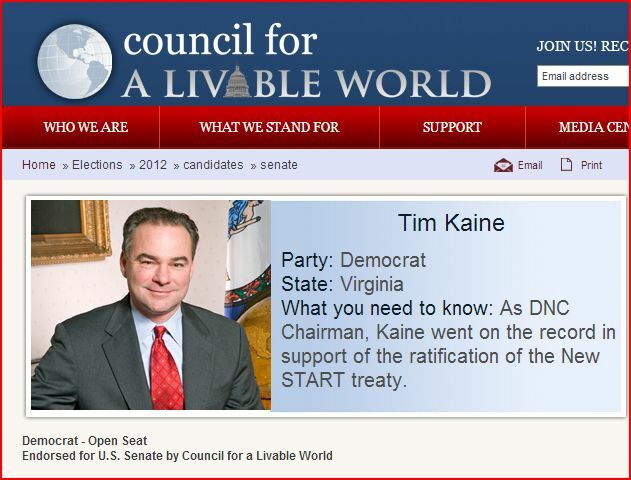 Tim Kaine has enjoyed support from the National Muslim Democratic Council, the communist-aligned Alliance for Retired Americans, and one of the most vile and influential organizations you never heard of: Council for a Livable World. In the 2012 election, Tim Kaine was supported by the Asian American Action Fund. The “socialist infiltrated, anti-Israel ‘two state solution’ JStreet PAC endorsed Tim Kaine in 2012, 2014 and 2016.